Judicial Legislation – Boon or Bane? He argued that judicial review of statutes is only possible when it clearly violates some provision of the Constitution in so evident a manner as to leave no manner of doubt. In Gian Singh v. State of Punjab, Justice Katju referred the question regarding compounding of non-compoundable offences to larger Bench by holding that the Court cannot amend the statute and must maintain judicial restraint in this connection. He also reminded that the Courts should not try to take over the function of the Parliament or Executive. It must be remembered that during Justice Katju’s tenure as a judge, he too reviewed statutes and participated in judicial activism. In Pushpa Vanti v. Union of India, the Supreme Court Bench consisting of Justice Katju and Justice Gyan Sudha Misra, directed the centre to set up of a separate Armed Forces Grievances Redressal Commission to look into the grievances of soldiers. He observed that bureaucratic control of “legitimate dues” of serving, former members of the armed forces, their widows and families has led to widespread discontent among them and that there is a need to address their grievances properly. Justice Katju held that the commission, unlike the Armed Forces Tribunal, would not be confined to the rules of service conditions or pensions and shall be at liberty to recommend to the Centre to change rules found "defective or inadequate”. It was settled that the five-member commission should be headed by a retired SC judge and the Bench even named Justice Kuldip Singh as the Chairman. In Aruna Shanbaug’s case, Justice Katju allowed "passive euthanasia" of withdrawing life support to patients in permanently vegetative state (PVS) but rejected outright active euthanasia of ending life through administration of lethal substances. While framing the guidelines for passive euthanasia he asserted that the guideline framed by the Court would become the law of the land until Parliament enacts a suitable legislation to deal with the issue. 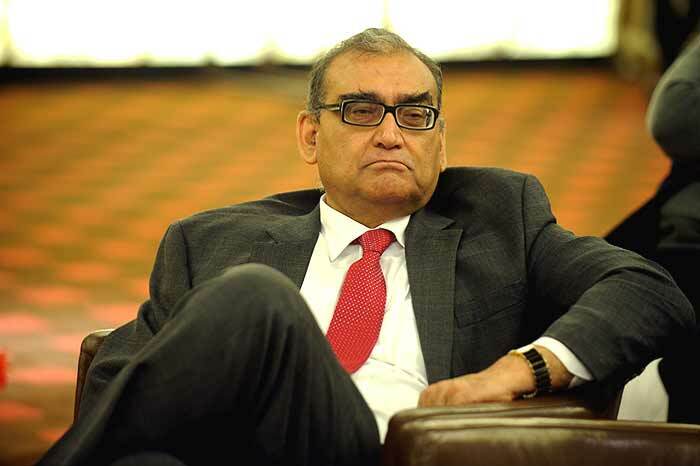 To give legitimacy to the process, Justice Katju had asked the Parliament to delete Section 309 IPC (attempt to suicide) on the ground that it is anachronistic even though it has become constitutionally valid. Similarly, In Rajibir v. State of Haryana (AIR 2011 SC 568), Justice Katju along with Justice Gyan Sudha Mishra directed all Trial Courts to ordinarily add Section 302 to the charge of section 304B dealing with dowry death, so that death sentences can be imposed in such heinous and barbaric crimes against women. He forgot the legal principle that the act of framing charge is not an empty formality. The order ignored the settled legal position that a charge can be framed only if the records prima facie reveal facts which constitute an offence thus charged. The direction virtually amended Section 216 of Cr.P.C, thereby restraining the Trial Courts from applying their minds to the facts and circumstances of each case while framing a Court charge. However, the Supreme Court in Jasvinder Saini & Ors. 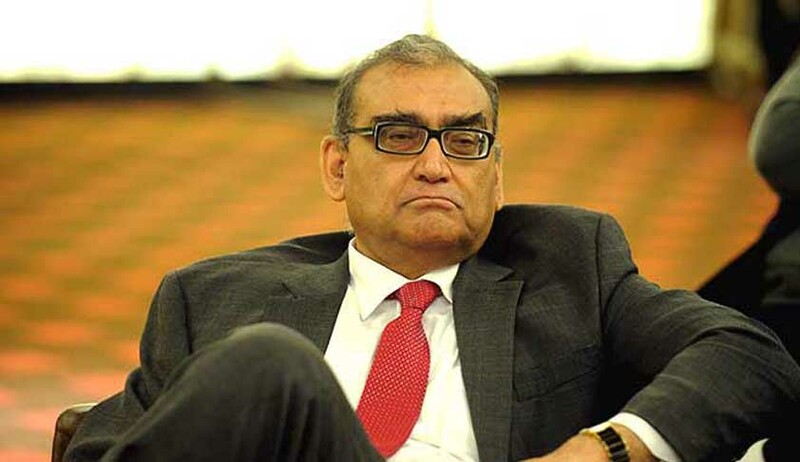 V. State on 2nd July , 2013 clarified the above order given by Justice Katju by stating that the direction was not meant to be followed mechanically and without due regard to the nature of the evidence available in the case. The Bench noted; all that the Apex Court meant to say was that in a case where a charge alleging dowry death is framed, a charge under Section 302 can also be framed if the evidence otherwise permits. Thus, Justice Katju has contradicted himself on more than one occasion. This brings us to the larger issue of whether judges should feel shy or apologetic about their law creating roles? Former Chief Justice P N Bhagwati in his speech had said that “It is no doubt true that a judge has to interpret the law according to the words used by the legislature but It is for the judge to give meaning to what the legislature has said and it is this process of interpretation which constitutes the most creative and thrilling function of a judge. The judge infuses life and blood into the dry skeleton provided by the legislature and creates a living organism appropriate and adequate to meet the needs of the society. By thus making and molding the law he takes part in the work of creation. The judge is not a mimic. Greatness of the bench lies in creativity. It is for this reason that when a law comes before a judge he has to invest it with meaning and content. To meet the needs of the society, the judges do make law and it is now recognized everywhere that judges take part in this law making function and, therefore, judges make law”. The Supreme Court of India, he said, has expanded the frontiers of fundamental rights and of natural justice. In the process it has rewritten some parts of the Constitution. The right to life and personal liberty and the procedure established by law has been converted de facto and de jure into a procedural due process clause contrary to the intent of the makers of the constitution. This expanding right has encompassed, within itself, the right to bail, the right to a speedy trial, immunity against cruel and unusual punishment, the right to dignified treatment in custodial institutions, the right to legal aid in criminal proceedings and above all the right to live with basic human dignity. The Supreme Court has developed a new normative regime of rights and insisted that a state cannot act arbitrarily but must act reasonably and in public interest on pain of its action being invalidated by judicial intervention. The Supreme Court has evolved a strategy of public interest litigation and made it possible for the problems of the disadvantaged to be brought before the courts. D K Basu v. State of West Bengal, saw passing of The Code of Criminal Procedure (Amendment) Bill, in 2008 which amended Sec 41 Cr.Pc. The amended section has, now, put fetters on the power of police to arrest the accused persons involved in offences punishable with imprisonment up to seven years. Vishaka Case with respect to sexual harassment of women at workplace was incorporated into The Sexual Harassment of Women at Workplace (Prevention, Prohibition and Redressal) Act, 2013. Vineet Narain Case which exposed Jain hawala Scandal and failure of CBI to get high profile people accused in the case prosecuted, the Supreme Court of India made directions that included supervision of the CBI by the Central Vigilance Commission. Thus, the directions issued by the Supreme Court, fill the vacuum until the legislature enacts substantive law. The law creating power of Judges should not be narrowly interpreted. The Apex Court has become a symbol of hope for the people of India who do not understand the technicalities of law and yearn only for Justice. It is essential for the Court to exercise the power of judicial creativity in order to save our democracy from being subverted. However, judicial activism must not be confused with judicial overreach and adventurism, the Apex Court cannot usurp the powers of legislature, it can only balance the deficiencies in law by giving it a new interpretation. Esha Saha is Associate Editor at Live Law. Views expressed are personal of the author and does not reflect the views of Live Law.